In over nine months and 26,000km of travel we paid for camp sites approximately nine times. From these we only stayed at a commercial campground/caravan park four times; the other occasions were low cost camp fees for state-operated National Park camp sites. As we travelled around Australia, we met many fellow travellers and prospective travellers who were interested in where we were staying and how we found those sites. Our secret? The ‘Wikicamps‘ app we have installed on our smartphones and tablet PC. During our travels most of the amazing free camp sites, overnight stays, and day spots (including water refill locations) we located using this immensely handy and easy to use app. 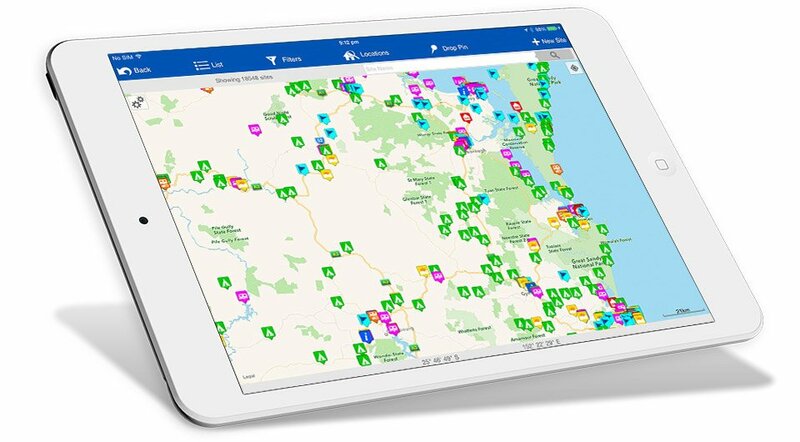 Wikicamps harnesses the power of mobile technology and ‘crowdsourcing‘ to create a map with a variety of different campsites, day spots and points of interest generated, reviewed, rated and commented on by the app users. This effectively means that the camp sites that get listed are peer-reviewed by fellow travellers, saving a lot of time and hassle when searching for those beautiful free/inexpensive camp sites in an area that you are travelling through, as there’s often a number of poor-quality sites in the same region. It helps that there are literally thousands of Wikicamps users in Australia alone, many of which are active contributors, commenters and reviewers. This can really help as some of the nice, out of the way camp sites are quite difficult to locate, even with GPS guidance. So always read the comments! Additionally, it is possible to download Wikicamps information by state, so the app may be used while offline. The app also has an option between a Google Map layer (online) and a high quality offline map too. This is very helpful when travelling in remote areas with limited or nonexistent mobile internet connection. Wikicamps is available on a variety of operating systems, including: Apple iOS ($7.49), Google Android ($7.49), Windows Phone ($6.99) and Windows 8.1 desktop (~$8.65). Please note: Prices are correct at the time this article is published and may change over time. Additionally, the Wikicamps app has versions specifically for Australia, New Zealand, Canada, United States of America, and the United Kingdom. More regions are planned for future versions. Generally Wikicamps is available for a 14 day free trial, so you can download it and play around with it for no cost. 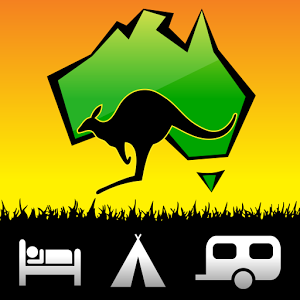 For the price of an average beer at the pub you will have an app for life (linked to your account, so it follows you across al devices you use with the same account) that will find you hundreds of amazing free camping sites and more. Essentially, our purchase paid itself off within the first day of using it.. so it gets a 10/10 from us! Notice: Comfortably Lost does not receive financial or any other rewards or incentives from writing about, and linking to, this product. We are simply sharing it because we have used it and found it to be extremely useful. I will be doing some boondocking in a fifth wheel soon here in the states. I envy you living in AU, as that is a place I would like to visit. I just wont do any swimming. Far too many crocs and sharks. Nice! I’m sure the States have plenty of amazing, beautidul, wide open spaces too. Crocodiles and sharks are a very minimal risk.. definitely not worth missing out on the spectacular beaches we have over here.